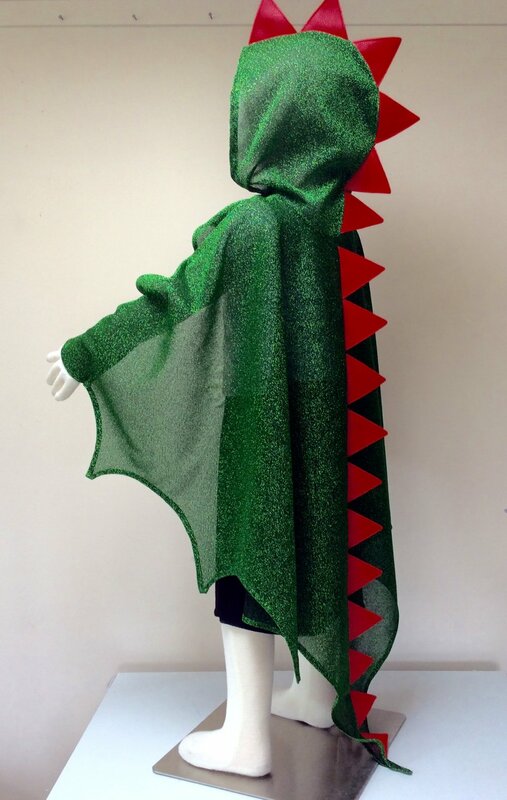 This sparkling lurex dragon has a scooped wing profile and soft vinyl spikes all the way down the back. It is stitched at the edges to create wristbands and has a jewelled button with elastic loop to close at the neck. A perfect addition to your fantasy play costumes, it will balance out all those princess dresses!